My husband can seriously be stubborn. Sometimes, sometimes! Well, the past couple of years, I've been trying to convince him that we shouldn't buy or use the ranch packets anymore. I mean, they have preservatives, and are expensive, and etc. etc. etc. I've shown him all the Pinterest ranch recipes, but he still insisted that the ranch packets just tasted better and are cheaper because you have to use so many seasonings. I didn't push it, but every time it came up, I just mentioned it again. But he's stubborn. I nonchalantly said something about making it, and that it calls for dill and we had some dill. I was so excited, and he was pretty proud of himself. All that to say, here's how Jeremy (finally) made ranch. Stir together the juice from one small lemon and one tablespoon of minced garlic. And kind of mash the garlic up a bit. Whisk in 1/2 c sour cream, 1 c mayonnaise, and a slosh of milk, until you get the right consistency. He says you then need to add salt, pepper, and onion powder to taste. 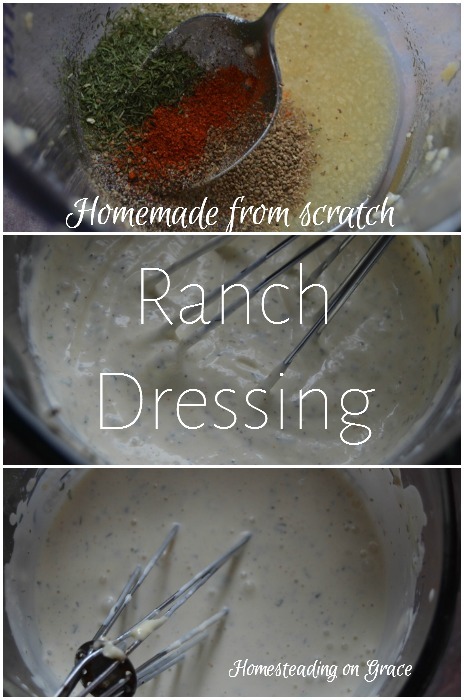 Here's a printable of the ranch recipe! 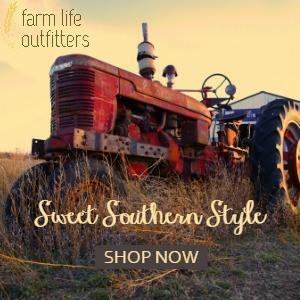 We've had this ranch over salads, with pizza, with chicken tenders, basically, any time there's a possibility of something needing to be dipped. It's just so good. And we've shared it with our family, and they've all passed on their approval too. Now, that wasn't so hard. I guess, technically I should add, I'm more stubborn. One baby step at a time, we'll get there. Now I'm starting to mention all the recipes for making our own mayonnaise. Hopefully, that won't take another couple of years. Would you like to check out another one of Jeremy's fabulous recipes? His hash browns are amazing! 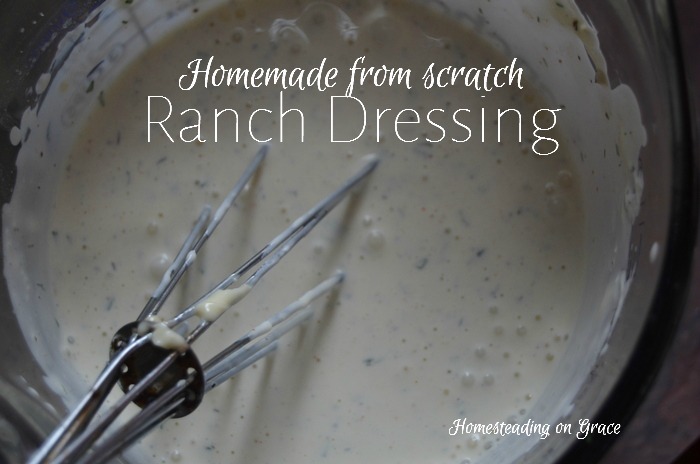 I have always wanted to try making homemade ranch dressing. Thanks for sharing your recipe! Your Homemade Ranch Dressing looks wonderful and I do love the spices you have used. 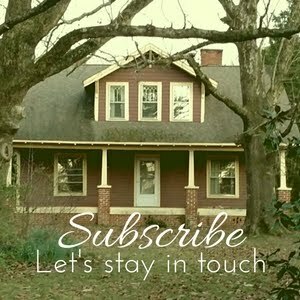 Thank you for sharing with us at Hearth and Soul!